With today’s announcement that giraffe have been assessed as ‘Vulnerable’ on the IUCN Red List of Threatened Species, ZSL's Dr Noëlle Kümpel, co-chair of the IUCN SSC Giraffe and Okapi Specialist Group, looks at how these iconic megafauna are disappearing before our very eyes. Although widespread across the savannah, woodland and desert regions of 21 countries in sub-Saharan Africa, giraffe populations are increasingly fragmented and shrinking in size, and have already been lost from 7 countries. There are now estimated to be less than 100,000 individuals left - less than a quarter of the number of African elephants and a staggering 36-40% decline in 30 years. This is all the more concerning given that giraffe numbers are increasing in southern Africa, masking the quite dramatic reductions in other populations, such as the Nubian, Reticulated and Masai subspecies in northern/eastern Africa. For example, the reticulated giraffe has declined from a historic estimate of 36,000 to 46,750 to a mere 8,661 individuals today These populations are threatened largely due to the increasing size and mobility of human populations, resulting in loss and degradation of habitat for timber harvesting and agriculture, competition with livestock and hunting as bushmeat, particularly when poor local people are battling drought or have been displaced by civil conflict. Development of infrastructure, mining and oil also impinge on some giraffe habitat in some areas. Perhaps because giraffes are readily seen in adverts, on safari and in zoos (including both ZSL London Zoo and ZSL Whipsnade Zoo), and they are not threatened by the much publicised international wildlife trade like species such as elephants and rhinos, most people (including conservationists) are not aware that many populations are heading toward a silent extinction if we don’t act now to conserve them. This new Red List assessment, conducted by members of the IUCN SSC Giraffe and Okapi Specialist Group, is therefore critical to not only help prioritise action where it is needed most, but also to help raise global awareness and support to help governments, conservationists and local stakeholders really start to focus on giraffe conservation and research. 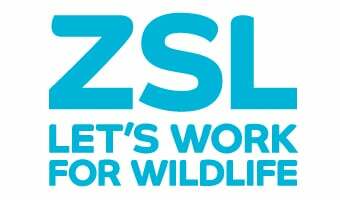 The Specialist Group is helping to spearhead and coordinate these efforts, and ZSL, as a Red List Partner, provides technical support for species conservation assessment such as these. We also support Red List products such as the Red List Index, an indicator of global trends in extinction risk, and National Red Lists, which provide complementary and additional information to the global level assessments. The giraffe Red List assessment process has been a major collaborative effort, compiling data on all nine subspecies from a large number of researchers working across the range. We’ve known that giraffe populations have been declining in many parts of their range for some time, but the IUCN Red Listing process provides a standardised, thorough and peer-reviewed means of formally assessing and registering this - moving the giraffe status up two notches from Least Concern to Vulnerable. In 2013, we similarly assessed the giraffe’s only living relative, the okapi, which is now listed as Endangered on the Red List due to an estimated decline of over 50% over three generations (24 years). This means that both these much-loved species - the giraffe, instantly recognised around the world, and the okapi, a national emblem for the Democratic Republic of Congo, the only country where it is found - are now threatened with extinction. The loss of these species has wider repercussions, as giraffe play a critical role as agents of change in the ecosystems in which they live. Their browsing of trees opens up areas, stimulates the production of new shoots and plays a role in pollination, and they disperse seeds in their droppings. We are only just starting to understand the importance of species like giraffe and elephant to maintain healthy, resilient ecosystems to support other wildlife and local people. This news may seem depressing, but we can turn things around. IUCN Members recently passed a key resolution calling for greater efforts to raise awareness and secure the future of both these hugely charismatic, iconic and gentle giraffid species, including safeguarding key protected areas. Giraffe numbers in countries such as South Africa are increasing thanks to good protected area and population management. Involving and benefiting local stakeholders such as stakeholders and local communities, within a stable political environment. Species conservation strategies can use information from the Red List assessment, identifying actions to counter threats, and provide a clear roadmap to guide conservation action. With the development of the first National Giraffe Conservation Strategy, the government of Niger has increased the population of West African giraffe from a low of 50 individuals nearly eight-fold in 20 years. ZSL and other partners are supporting the development of a similar strategy for Kenya, which we hope will help to similarly address the substantial declines of the three subspecies of giraffe found there. Finally, while some of the threats listed above are specific to giraffe, many are general in nature, and as such the globally-recognised giraffe can serve as both an indicator and a poster child for tackling wider conservation and development issues. The Living Planet Index, produced by ZSL with WWF, reveals that wildlife populations globally have declined by 58% since 1970, with similar downward trends in the extinction risk of species according to the Red List Index. With the population of Africa likely to quadruple this century, we need to support African nations to develop sustainably – including locating and managing agriculture, forestry, mining, oil and gas extraction and infrastructure so as not to disrupt the coexistence and interdependence of people and nature. We welcome all efforts to help spread the word and support giraffe and wider conservation on the ground, where it matters most! Read the official IUCN Red List assessment for giraffe. Learn more about our work in Kenya on giraffe and other key wildlife and on okapi. Find out about the IUCN SSC Giraffe and Okapi Specialist Group.